Liverpool and Arsenal will want to take note of this statement from Paris Saint-Germain sporting director Antero Henrique on the Adrien Rabiot transfer situation. 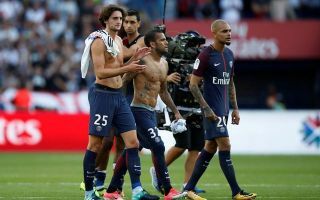 The PSG chief has more or less confirmed Rabiot will be on his way out of the Parc des Princes as he says the player has told him he doesn’t want to sign a new contract and is planning to leave when he becomes a free agent this summer. This is a big blow for PSG, for whom Rabiot has been a key player for a number of years now, while he also arguably still has his best years ahead of him. Many big clubs have been linked with the France international, with the Mirror recently translating a L’Equipe report that Liverpool and Barcelona have been in touch about snapping him up, while the Sun have linked him with both Arsenal and Tottenham. Rabiot could clearly fit in well at either Arsenal or Liverpool in particular, with both sides arguably in need of strengthening with a midfielder of that type. At Anfield, summer signings Fabinho and Naby Keita have been inconsistent since joining this season, while Arsenal lost Jack Wilshere in the summer, while Aaron Ramsey will be out of contract at the end of this campaign.